GREYSHOES | The Stone and Bronze Sculpture of Upton Ethelbah, Jr. The Stone and Bronze Sculpture of Upton Ethelbah, Jr.
Greyshoes (Upton S. Ethelbah, Jr.) is an American Indian stone and bronze sculptor whose work enjoys worldwide acclaim. 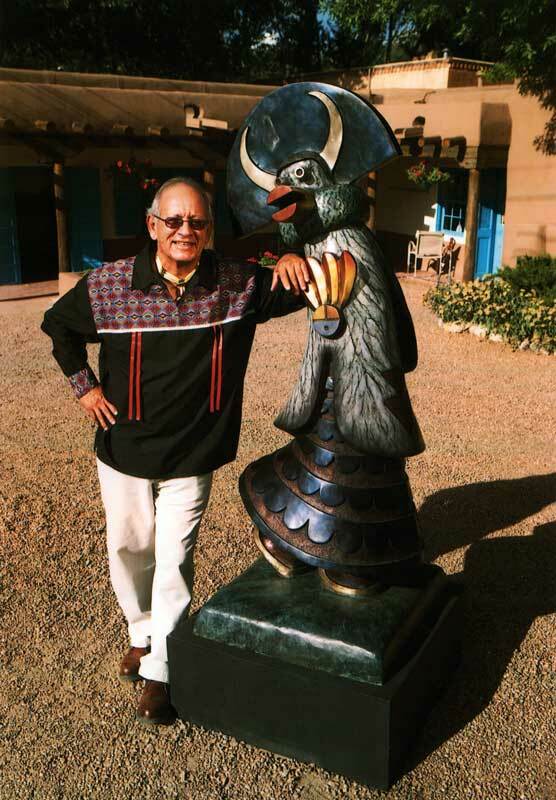 Renown for his contemporary, stylized, and flowing figures, Greyshoes draws inspiration from the traditional images of his Santa Clara Pueblo and White Mountain Apache heritage. Marble, alabaster, and limestone originals as well as many limited edition bronzes are available. Greyshoes is happy to accept commissions and appreciates your comments and questions.